It was the rumor that sent the internet into a frenzy last week! 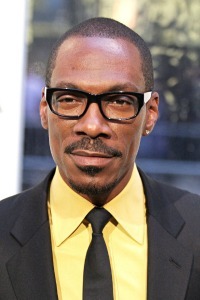 With all the negative publicity surrounding last year’s Oscar telecast, the news that Eddie Murphy was a contender to host this year’s Academy Awards was music to awards-fans ears! The 2010 Oscars was one of the most forgettable awards telecasts in recent history, save for the moment when James Franco appeared on stage in drag. So it was music to fans ears when the internet rumor was put out there that Eddie Murphy was a contender to host this year’s Academy Awards. The buzz intensified when the comedy-website Humor Mill Magazine, reported that Murphy was set for the job. Although the job has not been confirmed by the AMPAS and Murphy’s reps are mum on the matter, it looks like there are plenty of reasons why the revered comedian should host the flagging awards show. There hasn’t been a host worth speaking of since Billy Crystal took the reins for several years. Crystal infused energy, a quick wit and didn’t upstage the show. In fact, he enhanced the show, a feat few Oscar hosts allow to happen. Murphy recently worked with producer Brett Ratner, who is helming the February 26 show with Don Mischer. Their collaboration, along with Ben Still, titled Tower Heist, is set to be released on Nov. 4. Ratner has also been reported to state that he would love to produce Beverly Hills Cop 4 with the comedian. Murphy has been one of the most respected and funniest hosts of Saturday Night Live, and he can draw younger viewers due to his exposure in the Shrek franchise of films. He was also nominated for his performance in the 2006 film Dreamgirls. The buzz has been so intense it just might force the Academy to make a decision sooner than later, with rumors swirling that a decision could come as early as within the next two weeks.